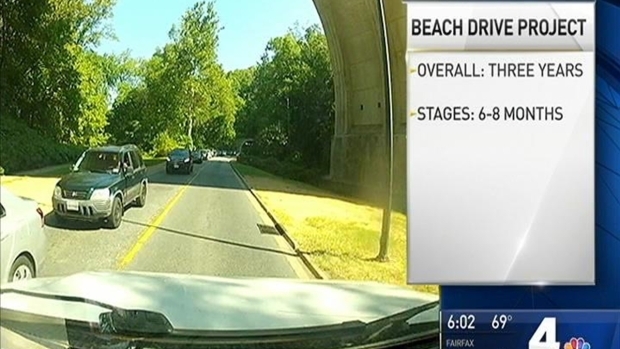 The warnings have been coming for awhile, but Thursday's the day: Drivers in Northwest D.C. may need to find alternate routes now that a stretch of Beach Drive is shut down for a lengthy construction project. District officials said Beach Drive is in bad shape and needs to be fixed. 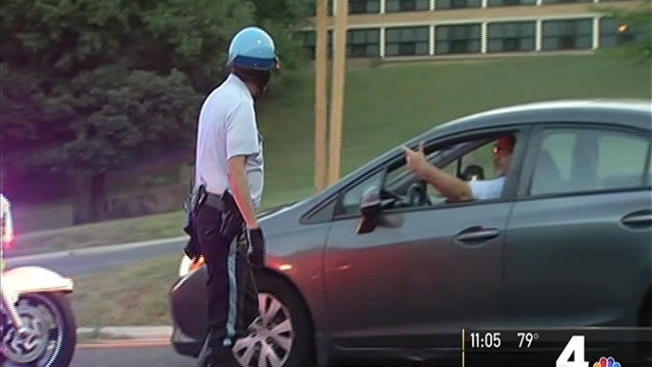 The road is now closed from Tilden Street to Rock Creek Parkway, which is expected to have an impact on thousands of commuters. Drivers' best alternatives are Massachusetts or Connecticut avenues, or 16th or 14th streets NW. The first phase will last six to eight months; the complete project could take as long as three years. The National Park Service says the first segment of construction will have two phases. During phase 1A, Beach Drive will stay open between Piney Branch Parkway and Porter Street so vehicles can cross Rock Creek Park. During phase 1B, it will close. Segment 2 will involve Tilden Street NW to Broad Branch Road NW. Segment 3 will run from Broad Branch Road NW to Joyce Road NW. Segment 4 will involve Joyce Road NW to the D.C./Maryland border.